Bhopal, August 28, 2015 (Ataullah Faizan): Madhya Pradesh has been conferred awards in 5 different categories for outstanding works in new and renewable energy sector. 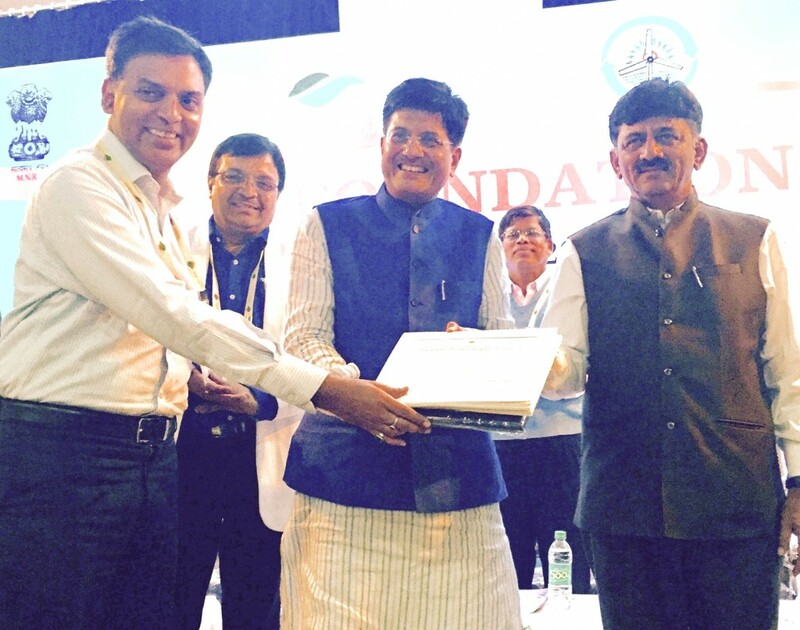 The awards were given away by Union Minister of State for New & Renewable Energy Mr. Piyush Goyal to Principal Secretary New & Renewable Energy Mr. Manu Shrivastava at Bengaluru today. The excellent works for which Madhya Pradesh has been awarded include establishment of maximum capacity grid-based solar power projects during year 2014-15. Madhya Pradesh stood second in the country in this category. Madhya Pradesh stood second for establishing maximum capacity grid-based wind power projects during year 2014-15 and second in the category of maximum capacity grid-based power projects of all techniques during the same year. The state stood third in the category of establishing maximum capacity grid-based solar power projects during year till March 31, 2015 and third for excellent work in Solar RPO Category during year 2014-15.